How do you honor history while still being innovative? The Cotton Room has found a way to do it. 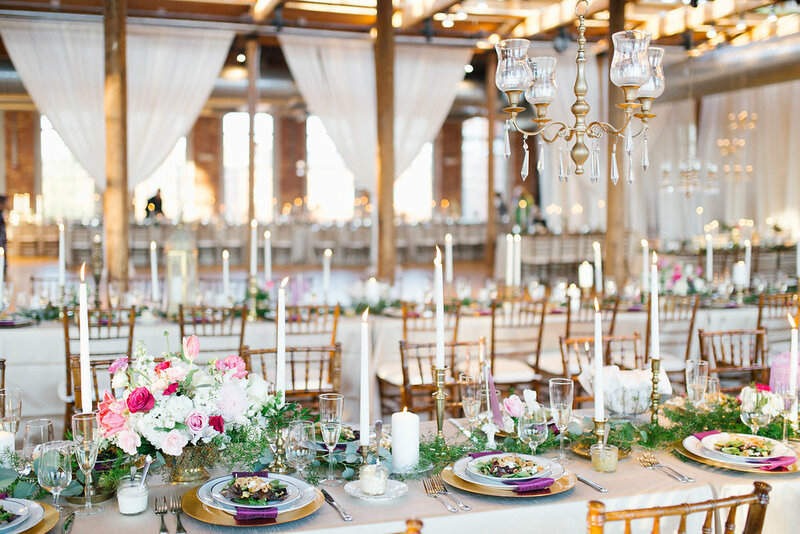 An event venue in Durham, the Cotton Room is part of the Golden Belt Manufacturing Company complex, former cotton mills that were renovated as part of the downtown revitalization efforts beginning in 2008. Durham native Michelle Aldred is the current lessee of the 16,000-square-foot space and created the Cotton Room with her husband Dodd in 2009. Aldred said she appreciates Durham’s efforts to both revive the downtown while also honoring the city’s history within the textile and tobacco industry. The six-building factory complex was renovated and reopened in 2008 as the Golden Belt Arts District. The industrial buildings were restored into office spaces, residential lofts, art studies, a gallery space, retail shops, restaurants, a music venue and an event space — the Cotton Room. Aldred said the original brick, large restored windows and Southern aesthetic add to the charm of the Cotton Room, attracting events ranging from weddings to photography shoots to corporate socials. 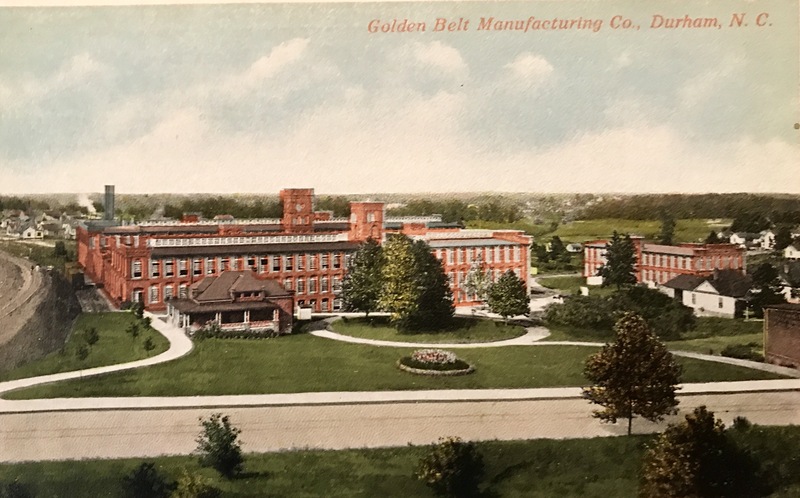 The Golden Belt Manufacturing Company was built in 1887 as part of Bull Durham Smoking Tobacco’s factory complex, established to help the tobacco industry meet its higher production demands. The Golden Belt processed cotton and produced cloth drawstring pouches for loose leaf Bull Durham tobacco, replacing a local cottage industry of women who worked out of their homes and sold hand-made bags to the tobacco company. The Cotton Room is located in the part of the old factory that produced the pouches. Aldred said many industrial features are still visible, which immediately attracted her to the space and reminded her of the Durham she knew in her childhood. John Schelp, a Durham resident and Durham history enthusiast, said it’s important to remember the workers of these mills — some 700 of them when the factory complex opened — because they contributed to Durham’s success more than anyone else. 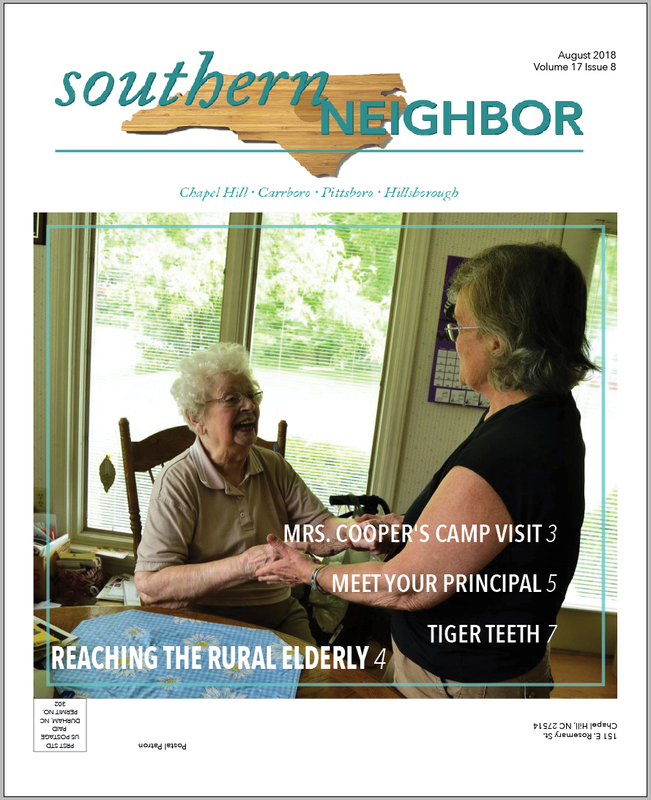 After decades of commercial success, changes in products and then commercial decline, the Golden Belt complex was donated to the Durham Housing Authority in 1996. The City of Durham put the complex up for sale in 2004, and Scientific Properties restored the industrial buildings in 2008. By the time the Cotton Room came along the next year, the historic district had become a lively area. Schelp said he was glad the old cotton mills and houses were abandoned and untouched because now they have been restored beautifully. Aldred said she and her husband try to honor the history of the Cotton Room as well as they can. The renovated Belt Line Station, the former freight depot where trains would deliver cotton to the mills, is adjacent to the Cotton Room and is also managed by Aldred. She installed signs about the history of the train line and Durham’s cotton and tobacco industry. The Cotton Room, located in the old Golden Belt Manufacturing Company building, offers event space that honors its history. Aldred also gives out charcoal sketches detailing the industrial features of the Cotton Room to customers, and they have some of the original Bull Durham Tobacco pouches displayed in their offices. Aldred said people doubted her when she created the Cotton Room, but she could always visualize the buzzing place that the Golden Belt district would become.